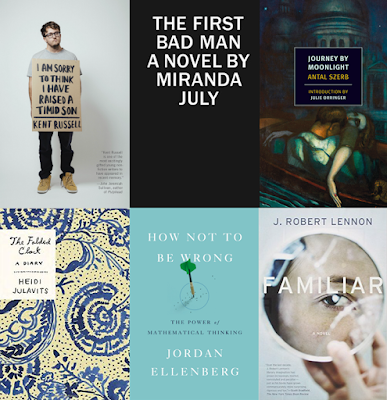 The French Exit: EVERY BOOK I READ IN 2015! WITH COMMENTARY!!! I have The Dud Avocado ordered at the library because Jean Rhys as farce seems almost impossible to imagine--I've only read Good Morning Midnight though, that wonderful soul-crushing thing, maybe she is sometimes less bleak than that? My year seemed to be heavily into books relating to religious visionaries, partly due to school partly due to coincidence. One of which, The Book of Margery Kempe, reminded me of a tweet of yours relating to crying in public which ended up fueling my entire final (thanks!). Also Julian of Norwich's Showings which I felt had some affinity with Blake Butler's 300,000,000 in a way I have spent way too much time typing trying exactly to pin--obviously the latter isn't a "Christian" visionary book, but I don't feel like it is secular either? Not sure. Lastly, Rikki Ducornet's The Stain which is lavish and disgusting and also chock-full of visions, asceticism, and delusions of martyrdom. Now as the year ends I am starting a pretty vigorous relationship with William H Gass, a sort of nasty man to begin a relationship with really, but I can't pick my loves. Twenty Poems That Could Save America by Tony Hoagland is maybe the most obnoxious book of essays I've ever read. He throws away swaths of poetry like hankies spent with snot. He seems to me like one of those critics who only like to break things down and never risk a positive word--not exactly true though, he does praise Bly a fair bit. I think Jean Rhys can be very funny at times! But yeah, mostly bleak. This is fantastic, Elisa. I kept a similar list last year, and then about halfway through doing it again this year, I deleted both documents (last year and this year). I felt like I was reading to get the books finished (i.e. to get them on the list). I couldn't give up on a book, which I often NEED to do but won't let myself do. The book that finally broke my commitment to the list: Gary Shteyngart's "Absurdistan." I read SO MUCH of it before quitting too. Your idea about keeping a separate list of books you've given up on might be the answer to this problem. It would be nice to know what I read this year. I just picked up Baker's "The Anthologist" at a used book sale after having read his weird, cool, nonfiction Updike book "U and I," which got better as it went along. Mat Johnson's "Pym" is also a favorite of mine from the last couple years. I'm going to pick up Carey, Szerb, and van den Berg! Donald Hall "Essays after Eighty"
James K. A. Smith "Who's Afraid of Relativism?" I didn't let myself finish books just so I could say I finished them. When I do that, I actually finish fewer books overall, because I'll do stuff other than reading when I'm in the middle of a book I don't want to read. You read You Too Can Have a Body Like Mine? You might not remember but I put you on to that before it came out. Then when you wrote that tweet a while back about consumption theme I thought maybe you were talking about that book but then I thought nah probably not, there are probably a lot of books about consumption. Anyway I didn't like it either. Maybe not for the same reasons as you, but it disappointed me because I had actually been looking forward to it. What made you read that though? Because when I mentioned it, you hadn't heard of it. Oh really?! I didn't remember that. At some point I saw a lot of people mention it on Twitter, then I picked it up when I saw it at the library. I also listened to part of her podcast on Other Ppl. An outstanding piece of writing, really sharp and inspiring. I too think very, very highly of Anne Boyer -- and of Elizabeth McCracken. My favorite book published in 2015 was "The Water Museum," by Luis Alberto Urrea. Thank you and thanks for the rec! I'm picked up Journey By Moonlight at the library a couple weeks ago, read the first 50 pages, and bought it as a Christmas gift for my girlfriend. I haven't finished it yet but every chapter is so much fun. I'd highly recommend JG Farrell's Troubles if you're looking for another mesmerizing NYRB classic. Thanks, I'll see if we have that one! We have a whole shelf of them, some from a subscription we had a couple years ago, plus a bunch of review copies. This year i definitely plan to read TALK by Linda Rosenkrantz. 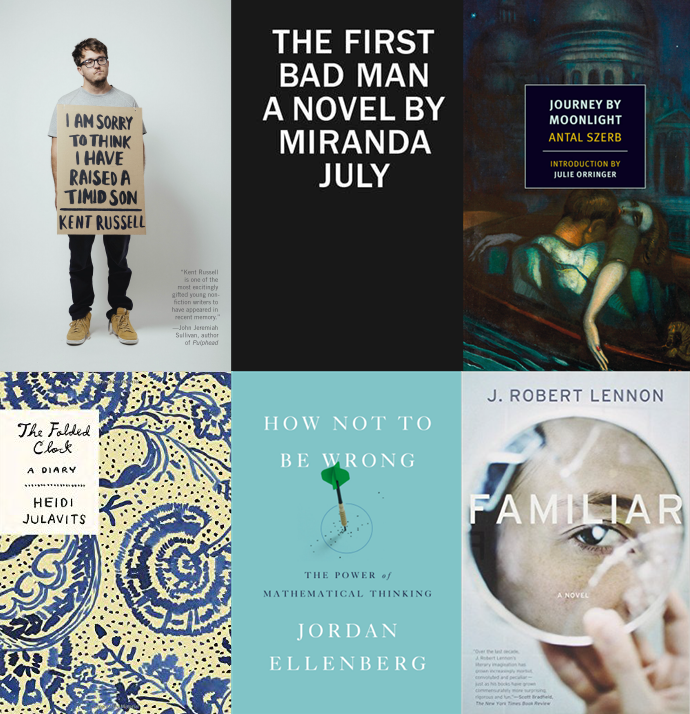 Very much enjoyed this list and put a good number of books from it on my "want to read" list. I think my taste is similar to yours, as anyone who really likes The Folded Clock, The Anthologist, the Daum and Biss collections, the Mat Johnson novel, surely has reliable recommendations. I love Jenny Diski's nonfiction (Stranger on a Trail, Skating to Antarctica) and wonder if you would like it too. I will look for those Diski titles! I have read a bit of her nonfiction here and there (in the LRB, for example) but never a full collection. ditto to your thoughts on Anne Boyer (in general- haven't read the book yet). and I know Kent Russell! sort of. I had vodka and beers with him once when I was in highschool, and I think he had graduated. Hilarious guy. I won't repeat what we all conversed about on here but it was dude-ish. You might like to know that he's a fellow facebook-eschewer. I didn't hear a lot of people talk about the Kent Russell book. But I thought it was really great.